The majority of the public does not support ongoing industrial action by London firefighters and believes the planned strike on 5 November will put lives in danger. 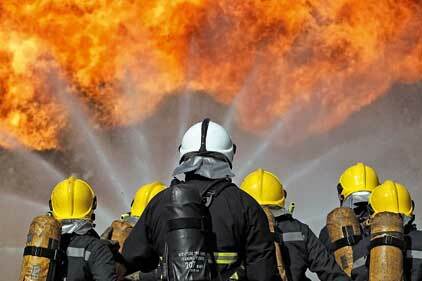 There is little public support for the ongoing London firefighters' strikes, new figures show. The latest PRWeek/OnePoll survey of 3,000 people found 61 per cent did not support the strike, and a massive 84 per cent felt holding the strike on Bonfire Night - 5 November - would endanger the public. But curiously, the majority of the public - 55 per cent - also said they thought stand-in fire crews and engines would be able to keep the public safe during the strikes. Overall, however, 69 per cent said anti-strike laws similar to those restricting police should be imposed on firefighters. And two-thirds said anti-strike laws should be imposed on other public service workers. In recent months, workers striking or threatening to strike have included: firefighters; London Underground staff; airport baggage handlers; airline cabin crew; Royal Mail staff and journalists at regional newspapers. Of these, 54 per cent of the public had the most sympathy for the firefighters, and 32 per cent had the least sympathy for the journalists. But just eight per cent of the public said strike action was the best way of resolving conflict with bosses at work. Three-quarters of respondents said negotiation was the preferred option, over strike action, protests and taking the issue to the media. Londoners will be familiar with the chaos caused by recent Tube strikes. The majority of the public - 37 per cent - blamed London Underground bosses, but Bob Crow, president of the RMT Union, came second with 35 per cent. Just 19 per cent blamed the workers, and less than ten per cent blamed Mayor of London Boris Johnson. The firefighters won't win a strike issue with the public, especially when health and safety is at risk. The fact they've also chosen Bonfire Night as a day of action leaves a nasty taste, particularly in the mouths of parents whose children want to enjoy the event. It's likely that Fire Brigade bosses may need to look closely at their plans to change shift patterns, judging by the public response in the survey and the weight of the media. The public have more sympathy with firefighters' conditions than BA cabin crew or Tube workers. But safety always comes first. The proposed changes to the working practices of firefighters has a big impact. These guys are risking their lives every time an alarm bell goes off in their fire station. Yet fire rookies are paid less than an account executive in a PR firm. But if they strike on Bonfire Night, they will find the view of the public turning extremely negative. - London Underground staff are among the most prolific strikers in recent years. Who do you blame? - Which of the following is the best way to resolve conflict with bosses at work? - Public services: 66% said anti-strike laws should be imposed on other public sector workers such as nurses and paramedics.